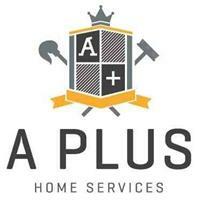 At A Plus Home Services we are a family run business providing professional decorating services to domestic properties in and around the greater London and Surrey Areas. Our professional decorators have years of experience when it comes to providing hassle free, top quality service for your property. All work is completed to the highest standard and we ensure your home is left looking clean, well finished and welcoming. We are experienced in various aspects of decorating, including internal decorating, exterior decorating, plastering, wall paper hanging and insurance quotations. A Plus Home Services also specialise in the restoration of wooden floors and our skilled trade teams can help you with anything from Bathroom and Kitchen installations and Carpentry, to the fitting of new carpets and floors. With a simple phone call we would be happy to provide you with free detailed estimates and quotations, we issue a Completion Certificate with every finished job to outline the work carried out, the products used and give you added peace of mind with our unique A Plus Guarantee. There is no upfront payment and with every job we provide a 48 hour period for you to inspect all completed work before payment, to ensure you are satisfied with the finished project.